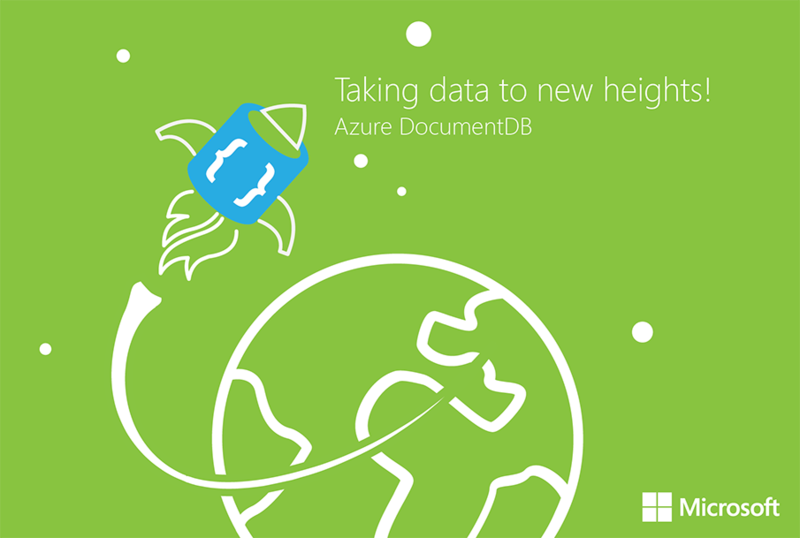 Earlier this year we announced the general availability of Azure DocumentDB. DocumentDB is a fully managed NoSQL database service designed to store and manage JSON documents at scale. As a schema-agnostic storage system, DocumentDB allows developers to rapidly iterate over data models and evolve applications without having to deal with complex data tier upgrades. But DocumentDB isn’t just simple JSON storage. All data is fully indexed and immediately queryable through a SQL query interface. DocumentDB provides applications with the ability to issue rich ad hoc queries over semi-structured data. We’re really excited to see what customers are building with DocumentDB from large-scale mobile games, industrial and automotive IoT systems to large-scale website personalization systems. As customers use the service more, we love to hear about what people are doing and how we can make the service better. DocumentDB now supports Order By and string range queries. With this, you can sort query results using any string, numeric, or Boolean property in your JSON documents. DocumentDB's Order By can be used to serve low latency queries against large collections of documents and is designed to work with a minimal index storage overhead. Refer to the DocumentDB query cheat sheet for the full set of query capabilities. Building location aware applications and IoT systems with DocumentDB is much easier with the introduction of geospatial support. DocumentDB now natively understands spatial points and polygons represented in the GeoJSON standard. DocumentDB automatically indexes geospatial data and provides SQL support for performing proximity queries. We heard from many developers that the use of self-links was too cumbersome when accessing DocumentDB resources. DocumentDB now supports interacting with database resources with the id that was supplied when the resource was created. This alleviates the need for applications to cache or lookup resource self-links. DocumentDB indexing policies can now be modified on existing collections online and in-place. Indexing policies control aspects of index management including index storage overhead, write and query throughput and query consistency. The Azure Preview portal now supports an increased number of development and management activities for DocumentDB customers. Both query explorer and document explorer have been improved to ease data access, query development and data management. A script explorer is now available to create, edit and delete stored procedures, triggers and UDFs. DocumentDB also now supports moving accounts across resource groups. The DocumentDB data migration tool supports importing data from a variety of sources including JSON and SQL Server as well as exporting JSON data from DocumentDB. The migration tool has been updated to support new sources including Azure Table, Azure Blob, Amazon DynamoDB and HBase. The migration tool also now includes support for partitioning and custom index policies. You can now use Azure’s data movement service to connect to DocumentDB. Azure Data Factory now supports DocumentDB as both a source and a sink for data pipelines. Applications using the DocumentDB .NET SDK can take advantage of partitioning support to aid in the development of large-scale applications. The latest SDK includes built-in support for range and hash based partitioning across multiple collections as well as the ability to register custom partitioning schemes. DocumentDB is now generally available for customers in the Australia East and Australia Southeast regions. We’ve been hard at work to improve the service. Hopefully you find these updates valuable for applications currently built on DocumentDB and those you plan to develop in the future. If you looked at the service either in preview or at general availability, now might be a good time to take another look. Get started with Azure DocumentDB by signing up for a free trial or create a database account today through the Azure Preview portal. Our goal is to give you timely and relevant information through these posts. Leave us a comment below with what you thought of this recap. We want to hear your perspective and feedback; it helps us continue to provide relevant information and service updates. If you need any help or have questions or feedback, please reach out on the developer forums on stack overflow or schedule a 1:1 chat with the DocumentDB engineering team. Stay up-to-date on the latest DocumentDB news and features by following us on Twitter @DocumentDB.